This week, we’ll be taking a look into the Eastern region of Europe. According to the United Nations Statistics Division, that covers countries including Belarus, Bulgaria, the Czech Republic, Hungary, Moldova, Poland, Romania, Slovakia, Ukraine and the most western part of Russia. And check out our specific Around the World guides for a deeper dive into Russia, Poland, and Slovakia and the Czech Republic. Houston Polish Film Festival – This annual film festival, which usually takes place in the fall, has been celebrating films for over 20 years. Houston Slavic Heritage Festival – Every year, Houston’s Slavic communities gather to honor their Slavic heritage with ethnic foods, singing, and dancing. The festival is open to the public, as all are invited to join and learn about the rich histories and cultures of the Czech, Croatian, Polish, and Ukrainian communities. Czech Day Festival – In October, SPJST Lodge 88 Pokrok Houston celebrates an annual Czech Day Festival, where all are invited to join in and learn about the culture through music, language, food and more. Admission is free. Sacred Heart Czech Fest – In Crosby, Sacred Heart Catholic Church puts on an annual Czech culture fest, featuring polka music, arts, crafts, live entertainment, food, games, and family fun. The event is held in October. Russian Festival – This festival offers Russian music in diverse genres, from authentic singing and folk to rock and electric, plus Russian dancing, merry games, and artistic handicraft from Russia. Museum of Fine Arts, Houston – Check out the European art collection at this Museum District gem. Czech Heritage Society of Texas (Harris County Chapter) – This local nonprofit has been dedicated to the study and preservation of Czech genealogy, history, culture, and language since 1985. The Hungarian American Cultural Association of Houston – This nonprofit organization is committed to supporting the Hungarian-American community in Houston, creating an appreciation of the Hungarian culture via a variety of educational, recreational, social, and networking events. Connect with fellow members and look out for events and meet-and-greets online. “Our Texas” Russian Cultural Center – Located between West University and the Museum District, Russian Cultural Center “Our Texas” is a nonprofit dedicated to bringing diverse Russian cultural events to Texas. Events range from summer bazaars, song festivals, and musical evenings to art exhibits and Russian holiday celebrations. Ukrainian American Cultural Club of Houston – Connect with your Ukranian heritage through this nonprofit cultural club, which hosts meetups, picnics, happy hours and more. United Russian American Association – This nonprofit organization promotes Russian cultural awareness and broadens the cultural and social ties of the 70,000+ Russian speaking citizens in the Houston community through art, education, cultural, and philanthropic activities. Funded solely through donations, grants, and membership fees, some of its activities include puppet theater, balls and disco nights, cookouts, movie nights, special topic presentations, folk dance performances, discussion groups, festivals, and art exhibitions. See the full calendar online. Kenny & Ziggy’s – You’ll find way more than just colossal corned beef sandwiches at this fan-favorite deli (with locations in the Galleria and West U); you’ll also find Eastern European fare like borscht, pickled herring, blintzes, stuffed cabbage, knish, beef stroganoff, and chocolate babka. Nyam Nyam Cafe – Hit this café to find traditional Russian pirozhki, small pies made sweet or savory, with fillings like cherry, apple, raspberry, and cheese or salmon, lamb, cabbage, and mushroom. Enjoy the treats alongside coffees, desserts, and eats like borscht and kebabs. Old Towne Kolaches – This westside spot stays true to the traditional Czech kolache, with real fruit fillings in flavors like apricot, apple, peach, cherry, and poppy seed. You’ll also find Tex-Czech kolache, filled with sausage, bacon, ham, eggs, chicken, beef, jalapeño and more. The Original Kolache Shoppe – Baked fresh daily since 1956, the kolache and klobasnek at this Telephone bakery mix Czech and Slovak tastes with local flare. Get locally-sourced numbers stuffed with poppy seed, raspberry, and sweet cheese, sausage and jalapeño, or roast beef, cheese, and bacon. Pierogi Queen – Owned and operated by Polish-born Eva and Miroslaw Sek, this League City shop is as authentic as it gets, from the gallery of pictures on the wall to the signature pierogi. Get the dumplings filled with potato and cheese, kraut and mushrooms, or meat; then choose your preparation, boiled with bacon, pan-fried with caramelized onion, or deep-fried and served with sauce. You’ll also find Polish specialties like bigos (hunter stew), kielbasa, stuffed cabbage and crepes filled with Polish farmer’s cheese; plus “Pol-Tex” offerings like fresh-cut fries loaded with sliced Polish sausage and bacon and dill sauce. Polonia – You’ll find everything from pierogi, golbaki (cabbage rolls), and authentic Polish sausage to bigos, golonka (pork shank) and blintz at this Spring Branch Polish restaurant and food store. You’ll also find dishes commonly found in Czech, Slovak, and Russian cuisine—including goulas, potato pancakes, sauerkraut soup, Czech beer, dressed herring, and blini. Two Czech Chicks Kolache Shoppe & Bakery – With a babicka-approved dough recipe that has been passed down through generations of Czechs, this Danbury kolache shop offers light and fluffy numbers filled with everything from peach and cream cheese to sausage and cheese. Wholly Crepe Russian Bistro – Located in Tomball and the brainchild of Russian native and chef Emiliya Hendrix, Wholly Crepe specializes in homemade Russian fare and Siberian blini (crepes). Dig into dishes like beef stroganoff, galubsy (cabbage rolls), vereniki (Russian pierogi) and pelmeni (ravioli), plus blini with fillings from whipped cream and berry puree to butter and lemon juice. Golden Grain – This Russian food emporium carries a host of delicacies from Russia and across Europe, carrying over 5,000 products from 25 countries. Not only is it an absolute destination for caviar, but you can also pick up freshly baked cakes, pastries and bread, imported cheeses and deli meats, hard-to-find Russian wines, beers and teas, and prepared foods like pelmeni, chicken kiev, olivier salad, stuffed cabbage and blintzes filled with meats, cheeses, and sour cherries. K&V Bulgarian Market – This Northwest grocer and market offers Eastern European snacks, cheeses, deli meats and more. Polish Food Store – Next to Polonia, this food store stocks traditional and authentic Polish fare, including bread and pastries like pączki, fresh and smoked meats, sausages and ham; herring, cheeses, frozen pierogi, sauerkraut, condiments, beer, candies and snacks, fruits and juices, and goods. Russian General Store – Over on Hillcroft, this general store is your one-stop-shop for Russian goods, from fresh pastries, smoked fish, caviars and farmers cheese to nesting dolls, gourmet candies and snacks, and imported beers and wines. Three Brothers Bakery – In 1949, Polish brothers Sigmund, Sol and Max opened the first Three Brothers Bakery on Holman Street. Today, the popular bakery has three locations, each of which offers European-style bread, cookies, pastries, and cakes alongside a lineup of specialty desserts. Berlitz Language Center – Located in Houston’s business and financial district off Post Oak, the Berlitz Houston Learning Center offers small group classes, one-on-one or live online classes with native-fluent instructors in languages from Czech, Slovak, and Hungarian to Romanian, Polish, and Ukrainian. Russian Language Classes at Russian Cultural Center – With both a Russian School for Kids and Russian for Adults, the Russian Cultural Center offers the opportunity to learn from native speakers. Ridna Shkola Ukrainian School of Houston – The Ridna Shkola Ukrainian School of Houston is a nonprofit Ukrainian language and cultural school that has existed for over 30 years. Take language courses and more. The Houston Russian Language Meetup Group – All ages and Russian language levels are welcome to join this meetup, where members have fun practicing, learning new phrases and sentences, and gaining a deeper understanding of the language. Forum Polonia Houston – Check out this community organization (and its Facebook group) to connect with fellow Polish Houstonians and discover cultural events happening around the city. 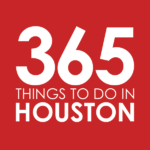 The Houston Area Russian Meetup – Open to Russian speakers, expats, students, and travelers, this meetup group offers speakers a way to socialize and have fun while networking, sharing ideas, and communicating. SPJST Lodge 88 – Offering fraternalism for all ages, this Czech social club sponsors family-oriented activities and community service projects, including dances, picnics, tournaments, summer camps, polka dances, and food drives, among other things. The group proudly promotes its Czech heritage, but membership is open to everyone. Our Texas Newspaper – This Russian language newspaper serves Houston, Dallas, San Antonio, and Austin. Houston Ballet – The Houston ballet company puts on annual performances of renowned Russian ballet The Nutcracker, along with classic and contemporary programming and dance academies. Dance Group Wawel – This non-profit folk dance group promotes Polish culture via musical performances around the city. No dance experience is necessary to join. Polka Dance Lessons – Located in the Woodlands, Country Dance Houston offers fun polka lessons for singles and couples, with the first lesson free.